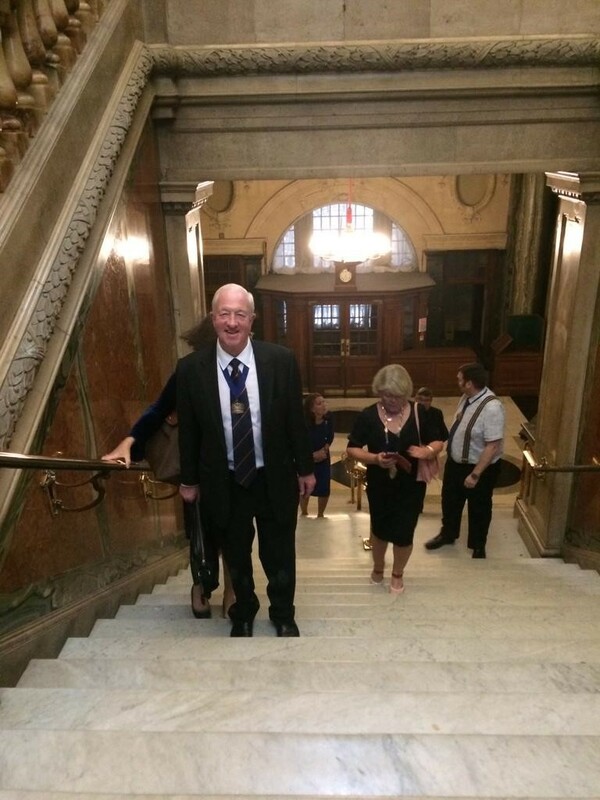 The London Mayors’ Association is extremely grateful to Sherriff Neil Redcliffe and his Consort Emma for inviting us back to the Old Bailey again this year. 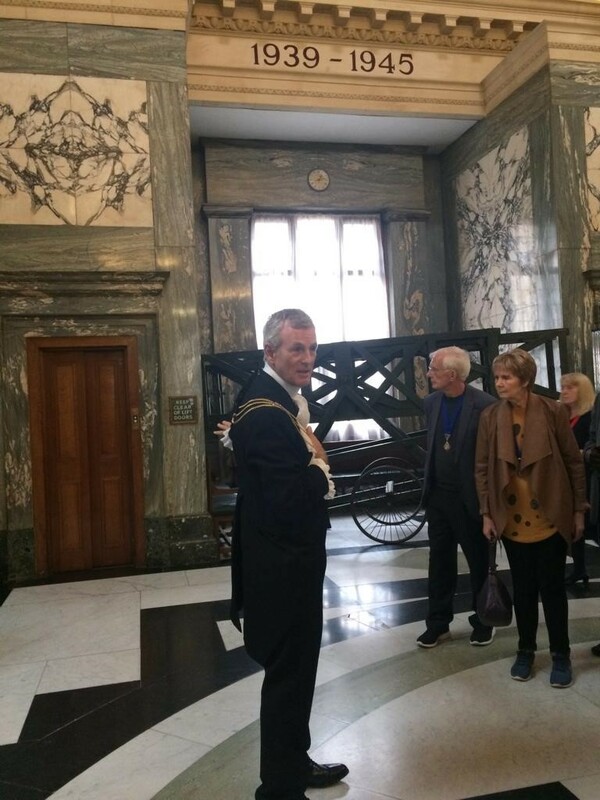 The visit started with tea and home made cakes in the Sherriff’s Dining Room and was followed by a tour of the Old Bailey given by Sherriff Redcliffe. 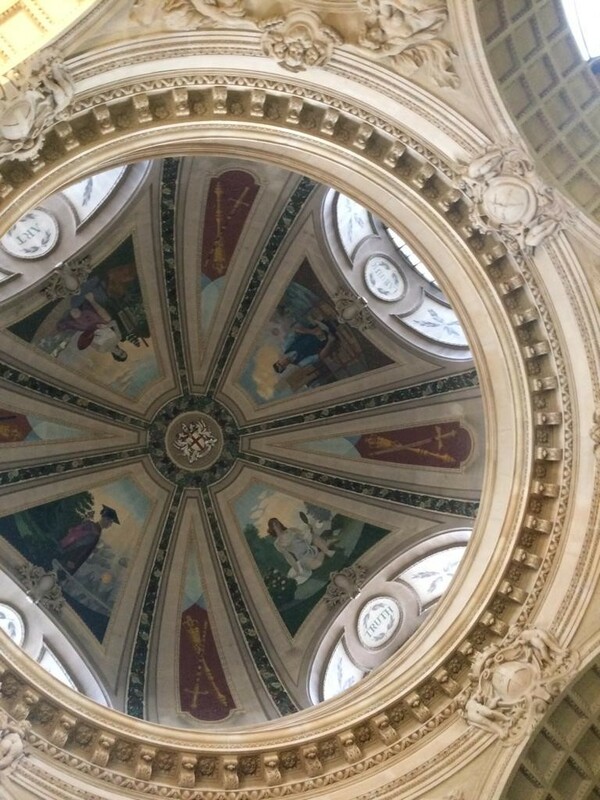 We heard all about the history of the site – from the notorious Newgate prison, where once installed you were unlikely to survive unless you could bribe those in authority – to the spectacular building which stands today. During the course of the tour we also learnt that the original meaning of ‘on the wagon’ where those going for execution from the old Newgate prison were allowed off ‘the wagon’ to have a drink with those who would carry out their execution before being put back on the wagon afterwards. A sobering thought!